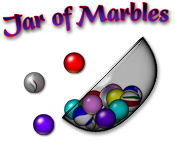 Jar of Marbles is rated 3.1 out of 5 by 18. Rated 5 out of 5 by benandtonysmom from WHEN WILL IT RETURN TO IPAD???!!!!!!! This is by far one of the most fun and challenging games I own but it disappeared from the apple app store a couple OS ago and I'm getting tired of not having my favorite game on my favorite device! BRING IT BACK PLEASE!!!!! Rated 5 out of 5 by BibiBuggs from It's what you make of it--Delightful IMO When I don't want to use my mind but want to enjoy playing a game, this is a great alternative. It is basically self-explanatory. There are multiple types of jar containers to choose from that vary according to difficulty. 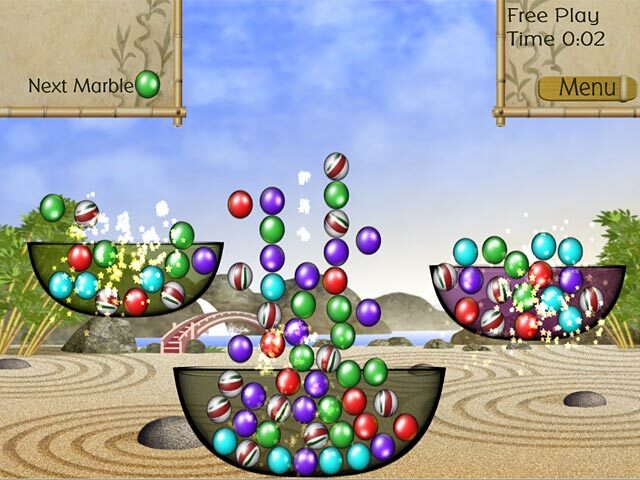 You can choose the marble color which also changes the challenge level. Or, choose to race against the clock. There are various multiple settings and challenge levels that makes this unique and fun. Never tiresome. 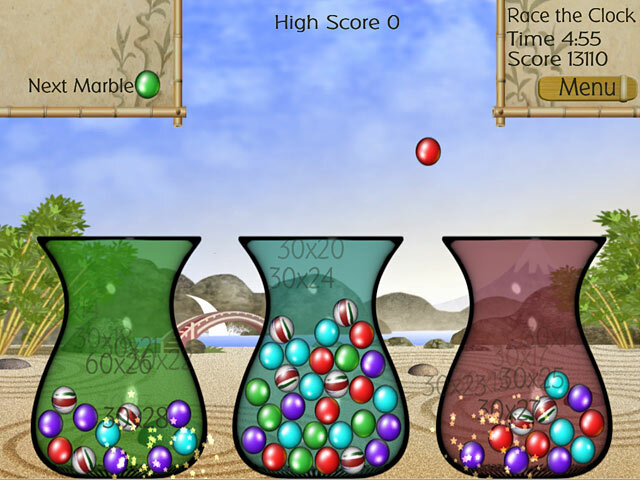 The player determines what level of difficulty they want. They can choose whether to race against the clock. If they decide to race the clock, they can select specific time lengths to race against: 5 min, 10 min, 15 or 20 minutes. Or, go without the clock (but I don't care for the open-end playing time because it isn't as challenging). I am surprised the reviews aren't better because this a basic, fun, and simple yet challenging game. Mindless or not. It's up to the individual and what he or she decides to make of it. Rated 5 out of 5 by _SJCC_ from awsome fun unique game!!!!! :) its just a fun game. i really enjoyed it. 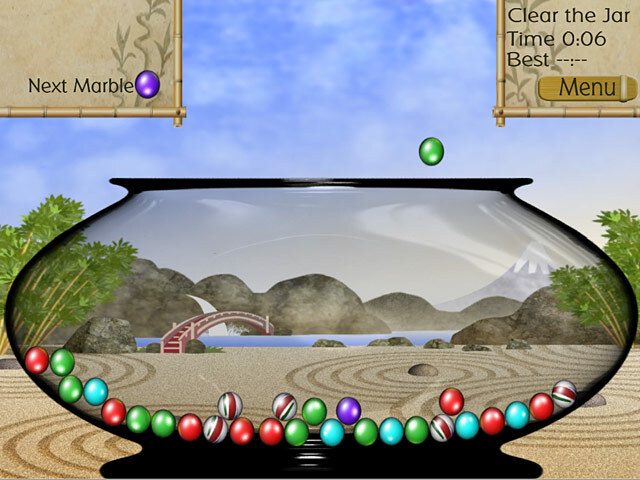 Rated 4 out of 5 by Bonedigger3 from Jar of Marbles It's funny how such a simple game could be so soothing and yet addictive as you keep trying to outdo your last score ! Rated 4 out of 5 by fuzzyduckhd from It's not rocket science After the building, and farming, finding lost stuff, this is a great change. Rated 4 out of 5 by luv2playBFG from simple easy fun I like this game. I can listen to audio lectures and workshops while playing this and stay focused. Colorful with a good variety of containers to keep it just that little bit on the edge. a good variety of play options too. Fun! Rated 3 out of 5 by bep1 from A Little Different I bought this game. True, it is slow, but I like unusual games, something a little out of the ordinary and original in concept. It is a good game to play when you just want to relax and do something different. I do like the variety of jars for play, also.